linen thread of sufficient quality, cotton thread is generally used. which to earn a living. 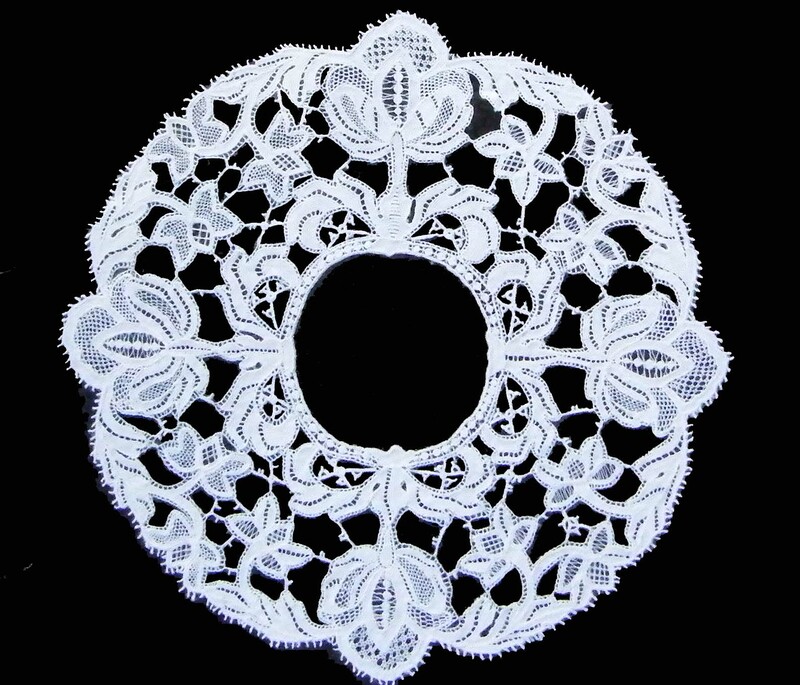 That skill was lace-making. many girls began to earn from five to eighteen shillings in a week. 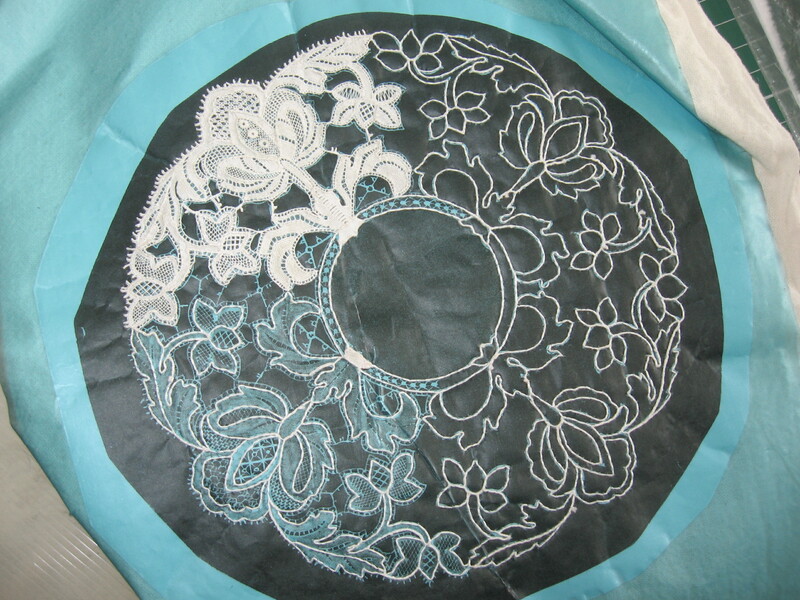 lace but also for their original designs. 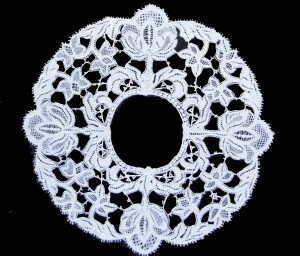 consisting of over 100 designs plus some others were produced by the nuns. carefully preserved in the Lace Centre. This photograph, from the booklet commemorating the centenary celebrations 1861 to1961, was taken by a Lady Colomb. 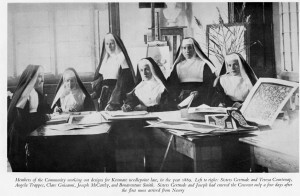 It is of a group of nuns working on designs. 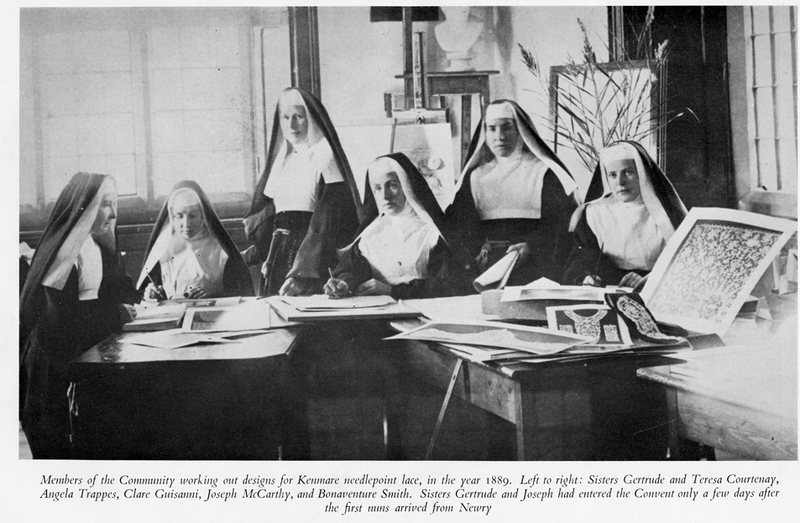 Among them are the sisters Bonaventure Smith, Angela Trappes, Clare Guisanni, Theresa and Gertrude Courtnay and Sr. Joseph McCarthy, daughter of Mr. McCarthy (owner of the Lansdowne Hotel where the lace was displayed).